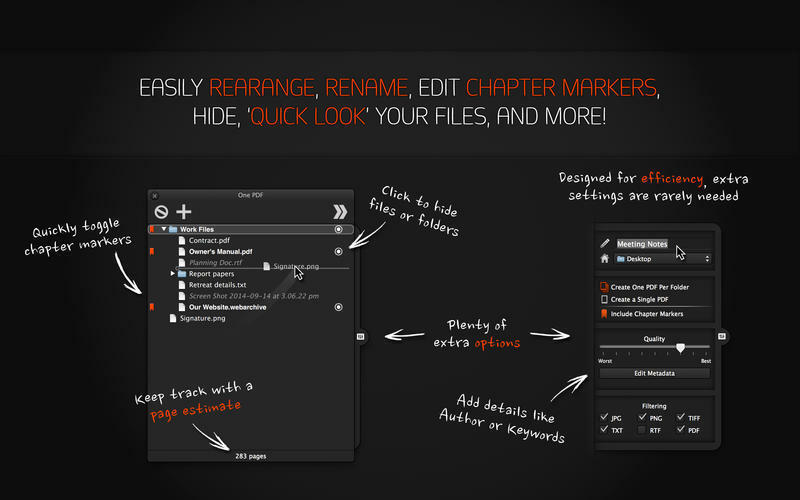 Easily merge multiple files into one PDF. Is there a better alternative to One PDF? 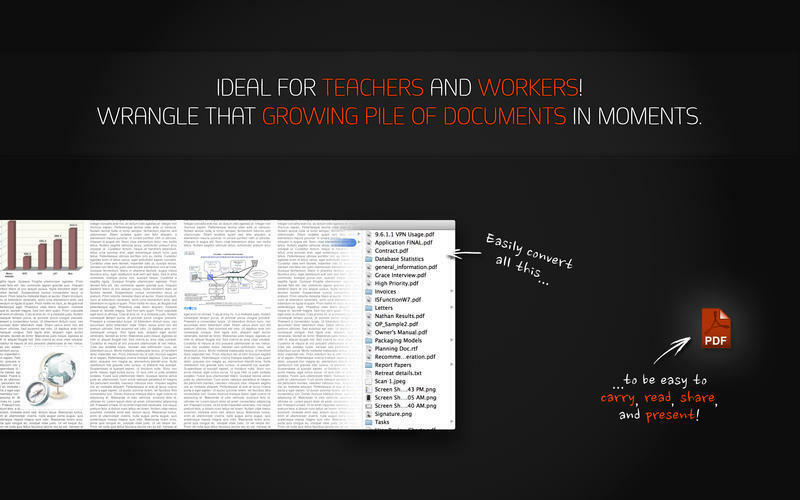 Is One PDF really the best app in File Management category? Will One PDF work good on macOS 10.13.4? 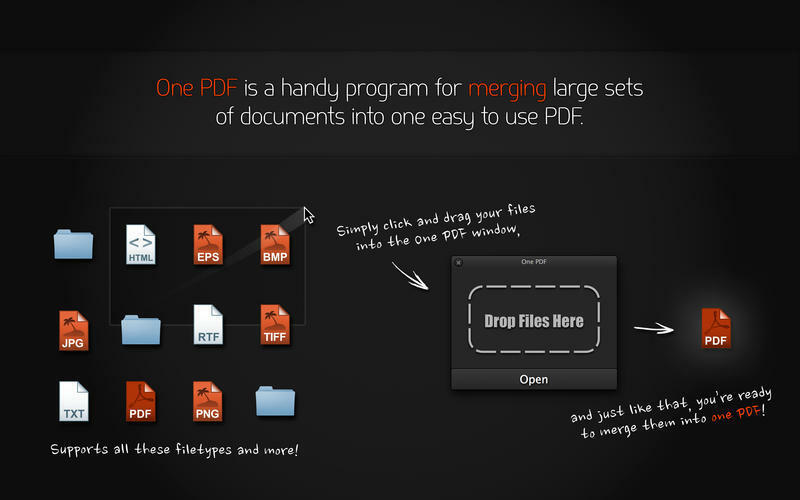 One PDF eliminates confusing mumbo-jumbo, and presents the cleanest and easiest-to-use PDF merging app we could think up. 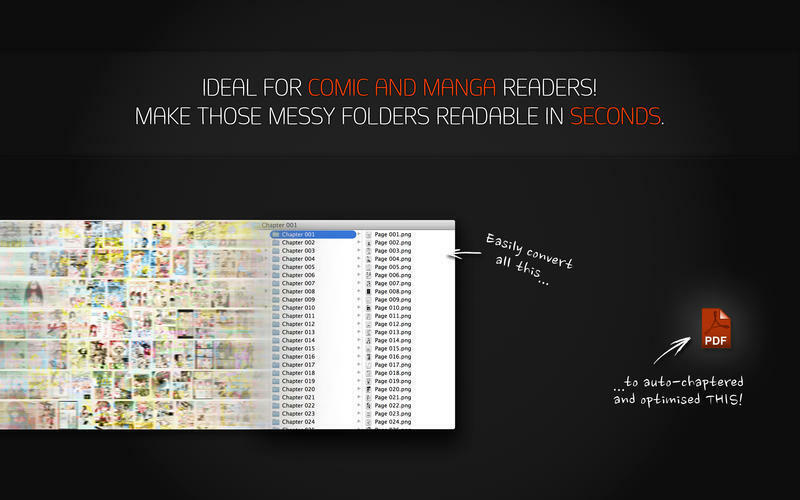 Are you tired of folders full of individual, unbound comic pages? Fed up with documents being unnecessarily divided? Fixed a few lingering crashes. One PDF needs a rating. Be the first to rate this app and get the discussion started!